From international sport tournaments to annual jewelry shows, Marlborough plays host to dozens of big and small events throughout the year. Our unique location midway between Boston and Worcester, at the intersection of I-495 and Mass Pike, makes the city an extremely convenient and centralized location for business events, exhibitions, trade fairs, and tournaments. In addition to boasting the largest number of hotel rooms outside of Greater Boston, the city also offers several facilities that can serve as the location for your next event. The New England Sports Center, the world’s largest ice skating facility, and our 47,500 square foot trade center are already home to many local and internationally recognized events that attract thousands of people to the city. So, explore your options and let us know if you think one of our venues could be the home for your next big event. With over 300,000 SF of space and 8 full-sized and 2 practice rinks, the New England Sports Center is the largest indoor skating facility in North America! 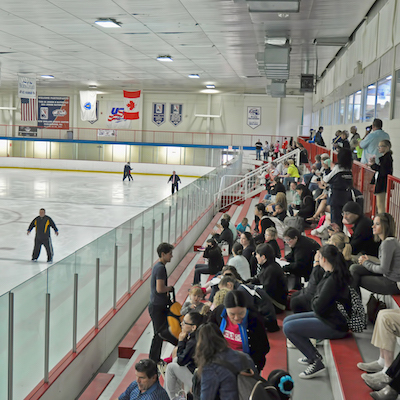 Conveniently located near I-495 and I-290, the NESC plays host to a number of major hockey, figure skating and other sports tournaments throughout the year. NESC is also host to the North American Indoor Lacrosse League and is home to the Boston Rockhoppers. 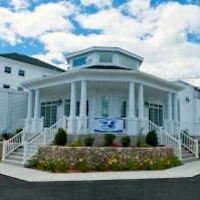 Learn more about the New England Sports Center. This 135,000 SF multi-sport facility is New England’s first indoor and outdoor sports megaplex, which includes seven indoor sports fields, two pro basketball courts, two outdoor lighted fields, an indoor driving range, a sports lounge, and a conference and function center. Here, you can play almost any sport, including soccer, basketball, volleyball, flag football, ultimate Frisbee, baseball, and softball. 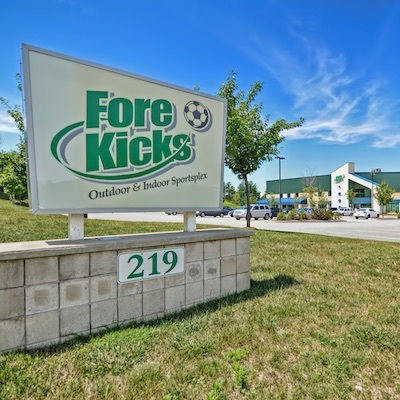 Learn more about ForeKicks Sportsplex. The Wayside Athletic Club facility consists of heated indoor and outdoor pools, 6 plexi-paved hard tennis courts, 4 racquetball courts, a complete fitness center, sauna, steam room and whirlpool. 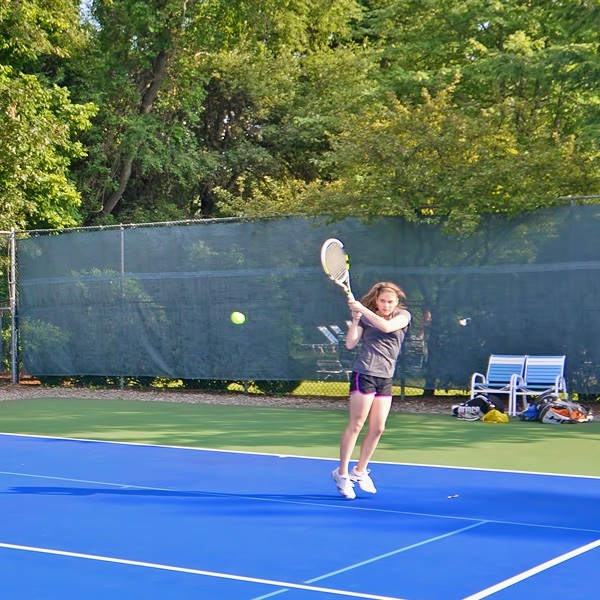 Members and visitors of all ages can get training in an array of sports and enjoy a variety of group exercise and fitness classes and programs. Learn more about the Wayside Athletic Club. Offering 47,500 square feet of exhibition space, the Trade Center at Best Western Royal Plaza Hotel is ideal for large conventions, conferences and trade shows. 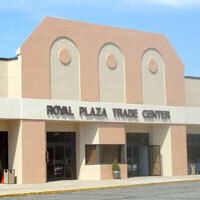 Learn more about the Royal Plaza Trade Center. With 4 separate function rooms, this semi-private golf club and lounge offers 6,435 SF of function space. Learn more about the Marlborough Country Club. 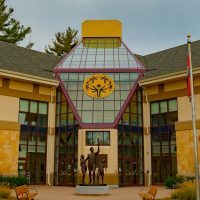 Home to the Special Olympics of Massachusetts, this 25,000 SF office and training facility hosts annual events and meetings for all types of business and play. Learn more about the Yawkey Sports Training Center. Submit an RFP for your next event here! You’ll find a full list of hotel along with their room and meeting capacity.